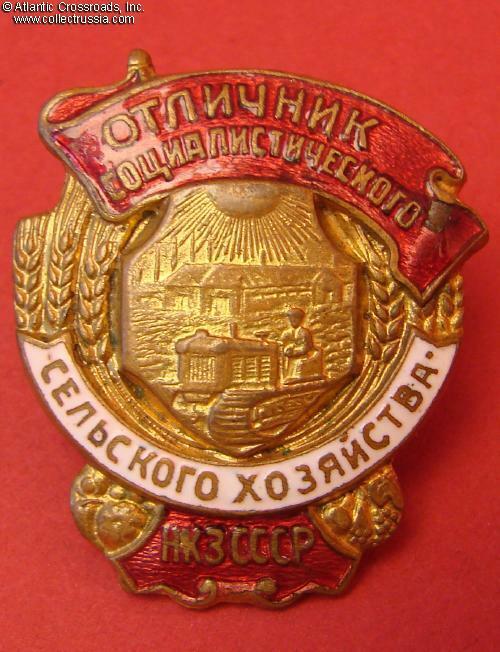 Badge for Excellence in Socialist Agriculture, Narkomat of Plant Cultivation, 1942-1946. Brass, enamels. 36.7 x 31.6 mm. In fine to very fine condition. 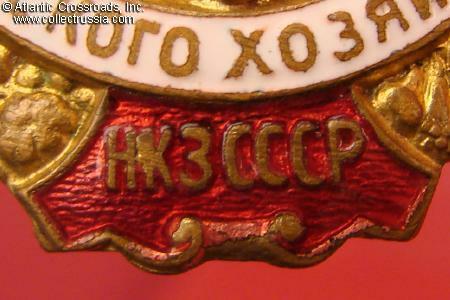 Small, almost unnoticeable chip to the red enamel on the flag, under the right scroll; there is also a smaller surface chip on the left side of the banner which is not penetrating to brass. Nevertheless, the enamel still has its beautiful luster. The details of the center medallion and wreath are extremely well preserved and much of the original fire gilt is still present. 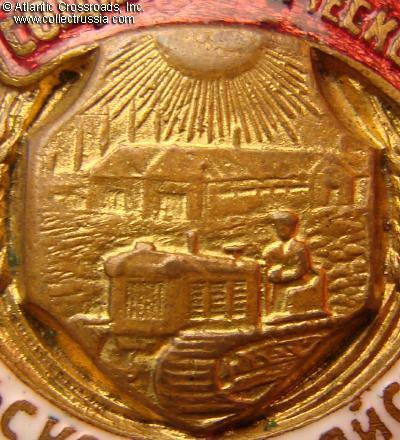 The screw plate is contemporary with the badge although not original to it; it functions well. 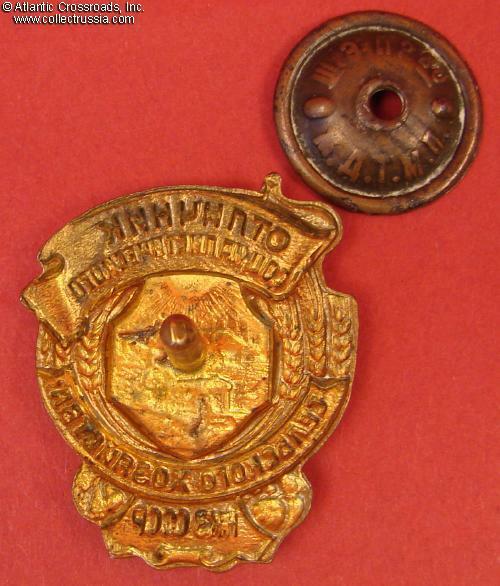 This badge is among the few labor awards established in the midst of the Patriotic War of 1941-45.